Acclaimed pianists Maki Namekawa and Dennis Russell Davies perform rarely heard two piano arrangements by Dmitri Shostakovich of his grand Symphony No. 4 in C minor, Op. 43 and Igor Stravinsky’s Symphony of Psalms. 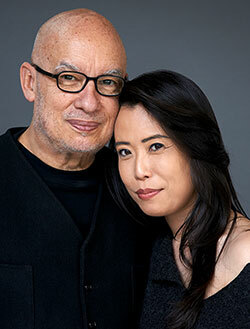 Dennis Russell Davies and Maki Namekawa. Photography by Andreas H. Bitesnich.